Las vacaciones: ¿qué tal lo pasaste? Introduce two different past holidays using the Magnet interactive, then use the worksheet to support students in talking and writing about their own holidays. 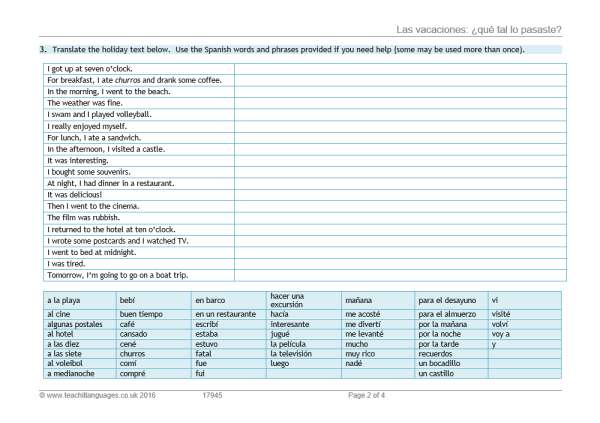 Includes differentiated translation tasks and useful phrases.